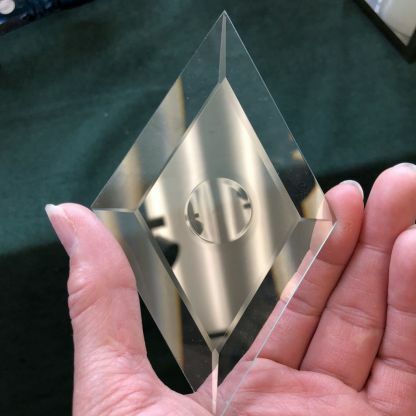 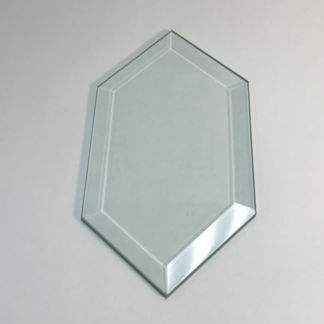 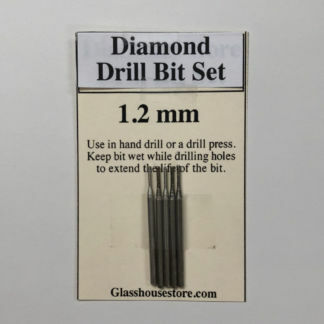 Clear Diamond Bevel Glass Shape measures 3″ x 5 ” and is top quality and limited stock. 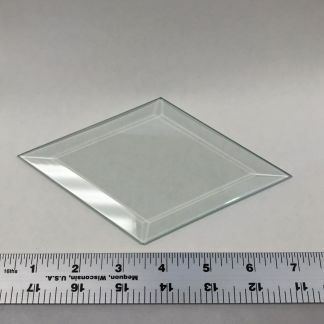 This unique diamond has a beveled circle in the center of the diamond. 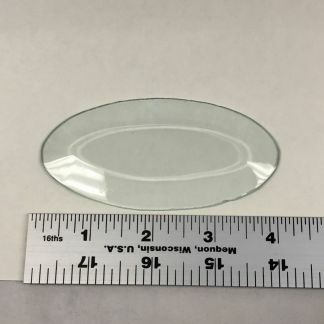 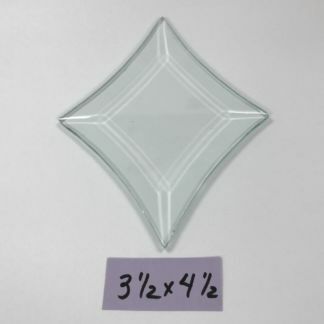 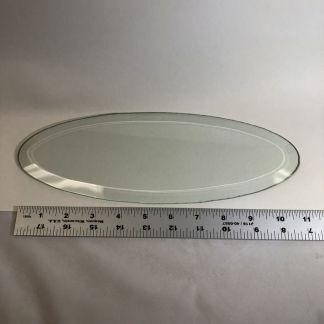 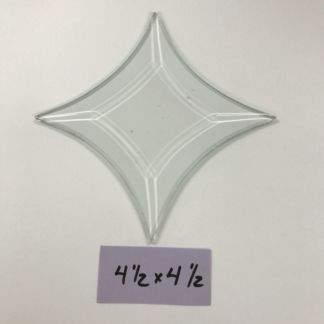 Diamond Bevel Glass 4" x 7 " Clear Oval Bevel-2" x 4"